We are back after a lovely vacation at Malaysia and Singapore, kids are still excited about Universal Studios, we adults are reliving the moments with the photos. I haven't started to edit my photos yet, hoping to do it by next week. The first thing i did after reaching home was a strong cup of coffee!! Oh my god, i missed my coffee, i don't like espresso, latte, etc, etc, nothing can beat homemade coffee! Once the coffee hits the right stop, it struck me that it is time for 3rd week of Blogging Marathon, that too under the Kids delight theme -Hide and seek with Veggies. Though i have already planned what to do, to get my lazy, vacation-spoiled b** to work was a bit tough. Anyways, after a week long hotel food, our system needs home-made food to replenish and rejuvenate. I made a simple tomato- garlic rasam and potato fry for lunch today and as we had an early lunch, i planned this pattani vadai for kiddo's evening snack. 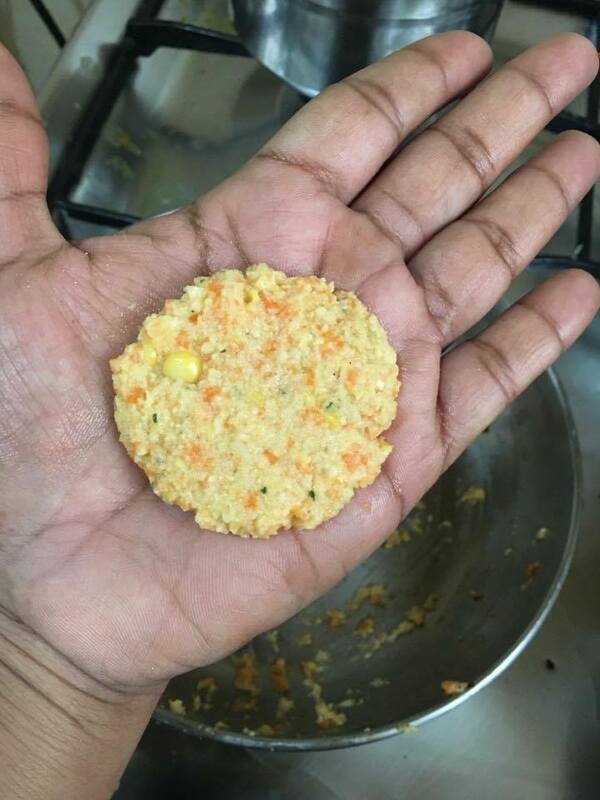 The hidden veggie in this vadai is carrots, why carrots you may ask? My lil one loves carrots, he can munch them raw, he actually survived the whole of our ooty trip with fresh carrots and apples. Whereas my elder one, he will run a mile hearing the word carrot. He can eat it if it is not seen, but if he finds a carrot, he will flick it out like a fly! So i have ground carrots along with the patani paruppu/split yellow peas/vatana along with some mild spices to make it an interesting snack along with your evening cup. My elder one loved it straight from the pan, while it is still hot, whereas my lil one enjoyed with his warm milk. Do try and let me know how your munchkin liked this vadai. Wash and soak pattani paruppu in 1 cup of water for 3-4 hours. Pattani paruppu needs lot of soaking time. 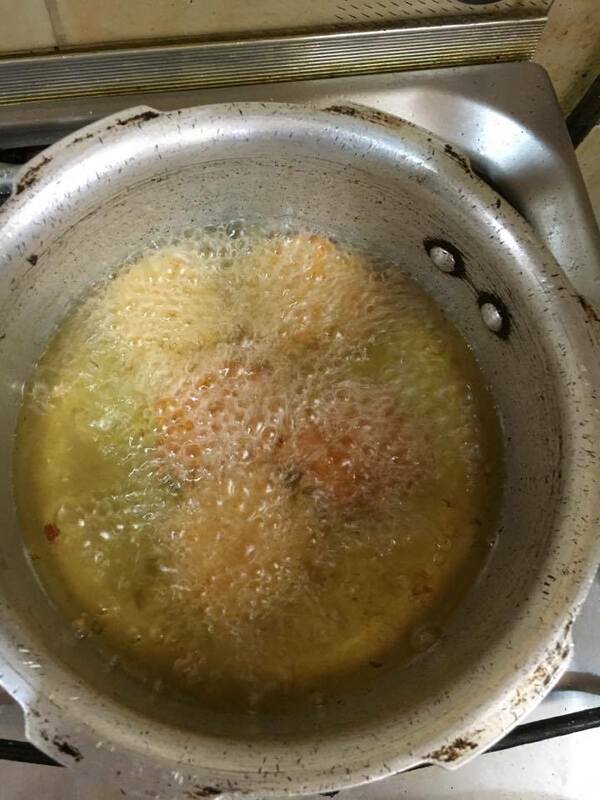 If you are planning to make the vadai around 5 pm, them soak it by 12 noon. After the said time, drain the excess water, take the paruppu along with chilies,Ginger, asafoetida, curry leaves, peppercorns, coriander seeds in a mixienjar and grind to a coarse paste without adding water. Do not add any water while grinding, soaked dal has enough moisture to ensure smooth grinding. Remove The ground batter onto a separate bowl. Heat oil for deep frying in a deep pan. 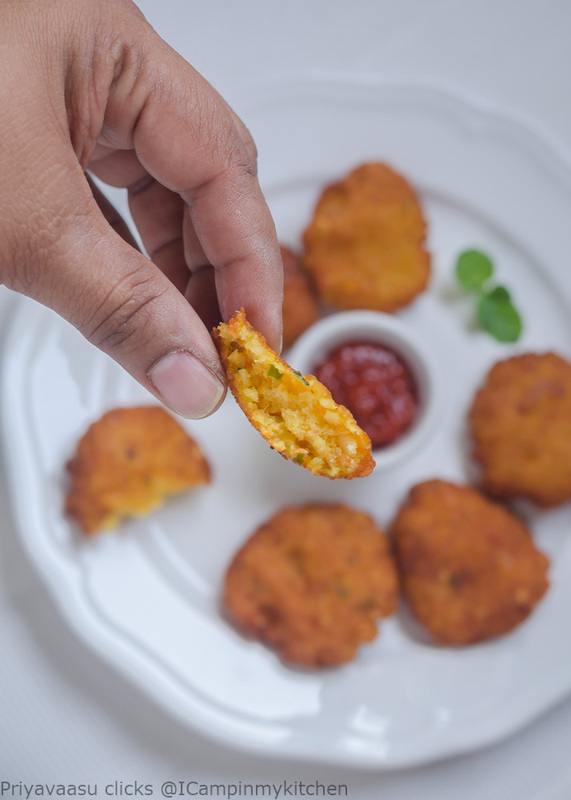 Wet your hands pinch 1-2 tbsp of vadai batter and pat into small flat patty, and drop gently into the hot oil. Add 3-4 vadai at a time. Deep fry on both sides until they turn golden brown. Remove the vadai using slotted spoon and place it in a kitchen towel. Serve it warm along with some ketchup and coffee/tea or with your kiddos favorite evening drink. This vada combo sounds interesting and unique . . It sounds delicious . Family vacations are the best. Glad you enjoyed yours. Vada look great. 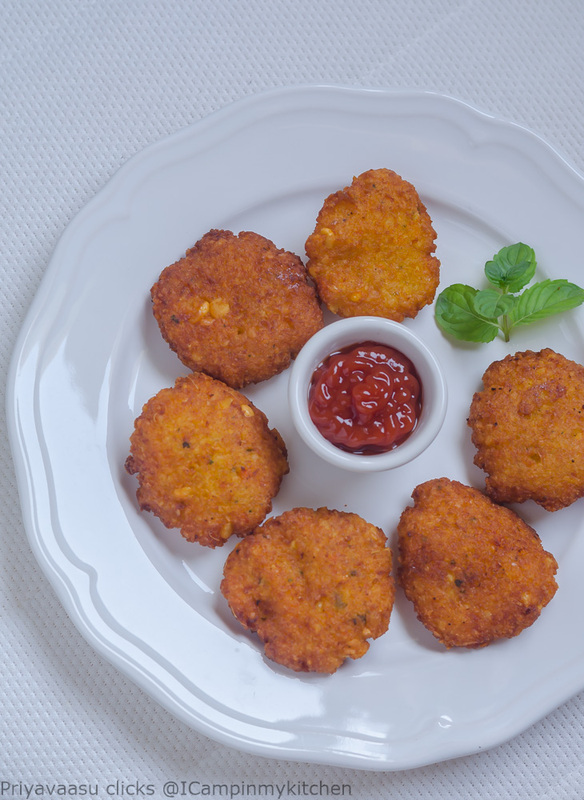 kids would certainly love to eat this carrot vadai. Family holidays are fun. I haven't had a holiday with family for a very long time. Hopefully in Dec the plan works out. Love the Vada and adding carrot makes its nutritious and colourful. I am with you on the coffee. Nothing beats the homemade brew! 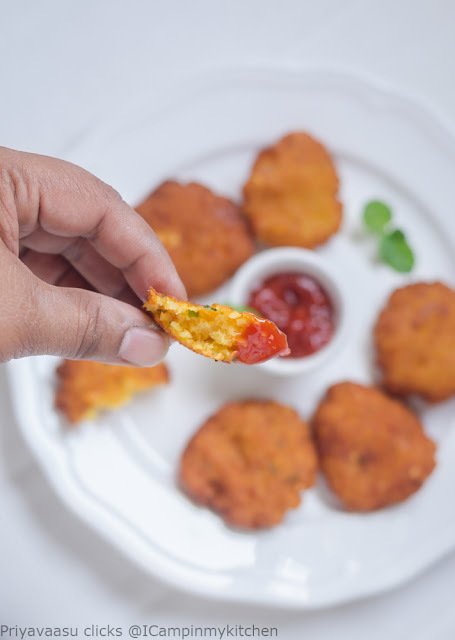 Love this veggie filled crispy vadai. Have to try this for my daughter. Hope you had a lovely vacation. Saw your pics on insta.Superb! 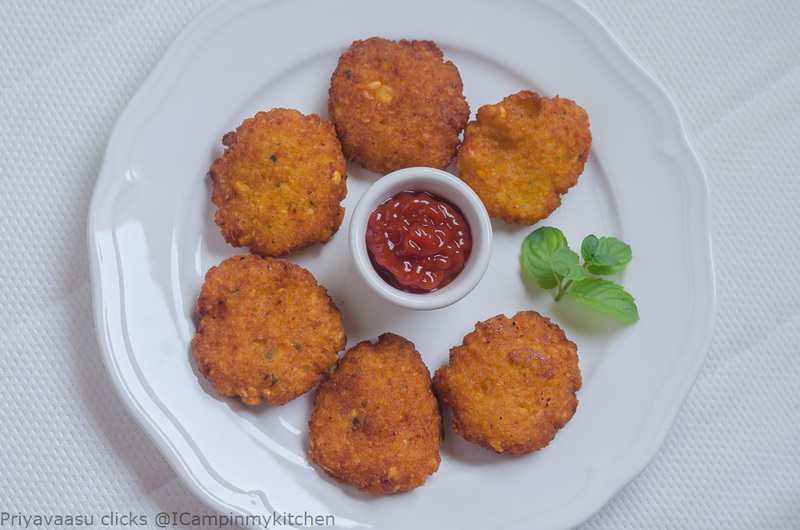 And this vada, I tried something similar with beets and the kids found out! This one should be good as they prefer carrots to beets!! what a lovely snack! - looks so good!